Join me for a Women's Entrepreneur Retreat Weekend! Back in August I alluded to a special project that I was working on with some of the incredible women I met at the culinary retreat I attended in Vermont this summer. Well, the time has finally come to reveal it! 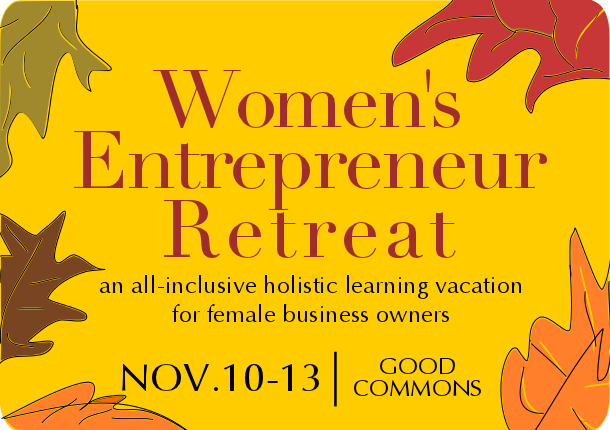 I'm excited to announce that I've teamed up with the amazing folks at Good Commons to co-host a Women's Entrepreneur Retreat weekend on November 10-13 at Good Commons in Vermont! This intensive and intimate retreat weekend is geared towards women who are starting or in the beginning or planning stages of building their own businesses, and is designed to provide them with the support, tools, and network to assist them at every stage of their journey. 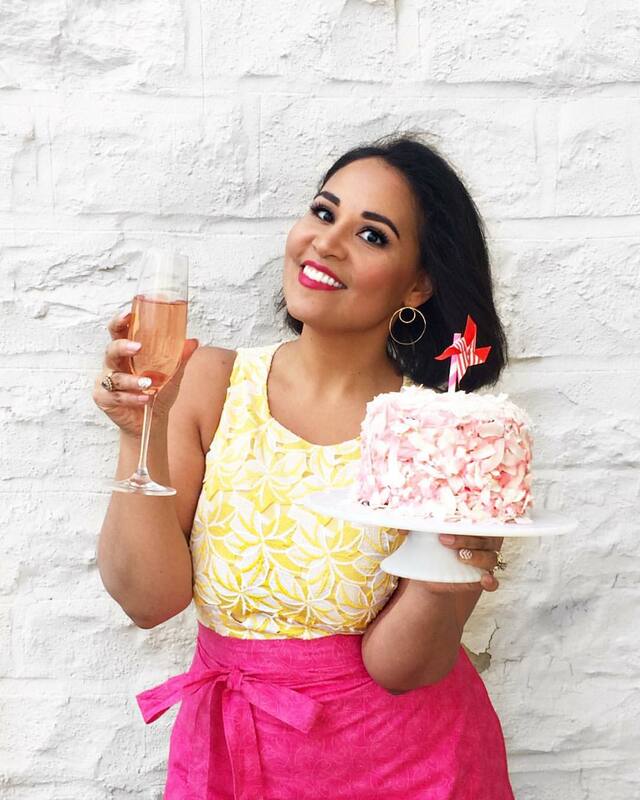 Have you been dreaming about starting your own business? Or have you already started and are looking for additional support and guidance? Whether your business is art, design, sales, dance, fitness, fashion, marketing, PR, coaching, retail, non-profit, law, writing, teaching, food, hospitality, or anything and everything in between, this retreat is for you! We have partnered with the inspiring Laura Huckabee-Jennings of Transcend Leadership Coaching who is going to be leading us through a series of workshops covering everything from developing a strategic business plan, identifying your key strengths, time management, communication, and more. Leave with a clear plan and actionable steps that will help you take your business to the next level. We will be discussing the oh-so-important topic of money, including funding and financing, with Debra Boudrieau of the Vermont Small Business Development Center. As part of my contribution to the weekend, I'll be leading a session on social media success and marketing for your business and personal brand. Take Networking to the Next Level! There will be nightly group discussions to encourage sharing and peer mentoring, plus a plan to keep us all connected and accountable once the weekend ends. Forget those awkward happy hours and disappointing networking events; this retreat is a once-in-a-lifetime opportunity to develop real bonds and share with like-minded women. Build valuable connections and friendships that will support you, and help you and your business grow for years to come! Because we understand that that it is impossible to build and run a successful business without taking care of yourself first, the weekend is also going to feature a strong wellness aspect. Yoga and Pilates instructor, Meg Zirm, of Yogalina, will be leading daily yoga practices and discussions that tap into our strengths and creativity. These classes will be geared towards people of ALL levels (even total beginners) so everyone will feel comfortable. Meg will also be teaching everyone a series of short exercise routines that we will all be able to take home and incorporate into our busy daily lives to manage stress and stay focused and fit. And finally, I will be teaching two hands-on cooking classes featuring recipes and techniques for quick, healthy (and delicious, because I only do delicious) meals that can prepared at home regardless of how limited your time is. I'll also be sharing time-saving tips and ideas throughout the weekend that will help you take control of your kitchen and mealtimes. 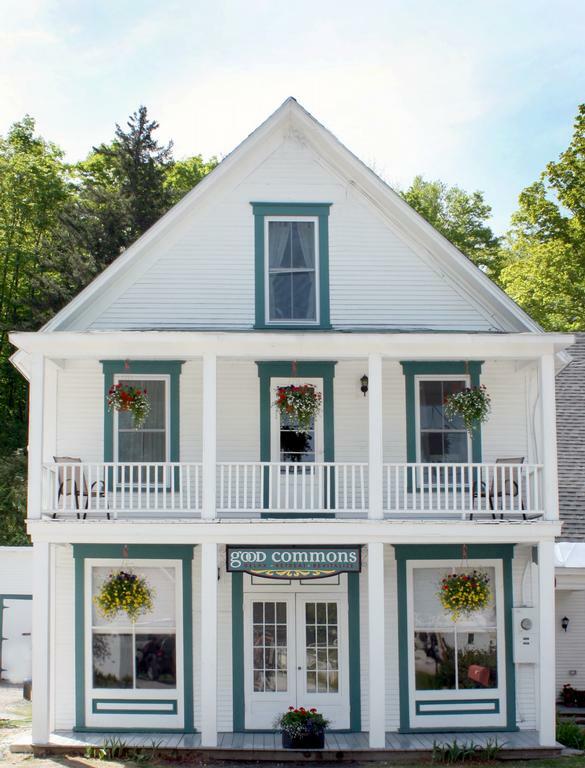 Located in the heart of the Okemo Valley in the rolling foothills of the Green Mountains, Good Commons is a picturesque and stunning retreat. 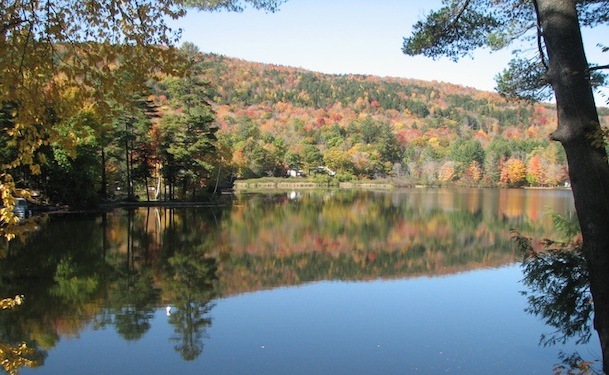 Escape the mad rush of the city and enjoy the crisp fall air, changing leaves, miles of lakes, and star-filled skies. There will be a massage therapist on site (massages are priced a la carte), a gorgeous outdoor hot tub for relaxing, nightly bonfires (perfect for enjoying s'mores made with my very own homemade graham crackers! ), and plenty of time for early morning walks or afternoon excursions in the gorgeous countryside. The trip is all-inclusive, with all meals and round-trip transportation from New York City provided via the center's private jitney included in the rate. Those traveling from other locations or providing their own transportation are eligible for a discount in price. Sounds amazing, doesn't it? I am so incredibly honored and excited to be a part of this weekend. Good Commons is such a special place and I know that you'll fall in love with it just as much as I did. To sign up and learn more, visit the Good Commons website or feel free to email me with any questions you may have! When you sign up, be sure to send me a note or leave me a comment to let me know you did! P.S. Want to know more about the experience at Good Commons? Check out my post from my stay there this past summer.